Angela's Green Tomato and Jalapeno Relish - Canning Homemade! After posting Sherrie's soup I decided that November will be the month of Facebook followers recipes. I have so many great recipes that come through my page that I think it's time for some of these amazing people who work on making these recipes have a post in their names! 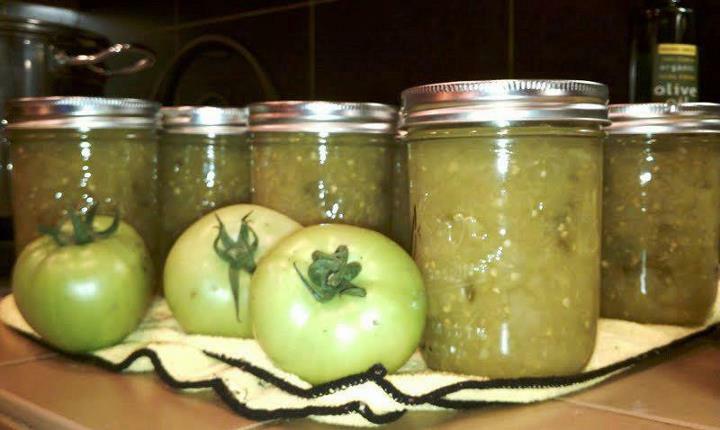 Angela did a great combination of end of season green tomatoes and vibrant jalapenos to produce a relish that will knock your socks off. I love this relish because there is a very special flavor that is different from a red tomato and give this almost a green salsa flavor without the bitter tomatillo taste. Thank you Angela for your fantastic twist on this great classic and for your hard work to put up some for photographing for this post. This recipe is truly inspirational! From Angela: "Zippy, zesty, slightly sweet with a touch of zingy tartness...perfect for grilled meats, as a salsa and in potato salad." Prepare and sterilize 4 - 5 pint canning jars, lids and rings per approved canning guidelines. Place all prepared vegetables, vinegar, sugar and canning salt in large pot and bring to a roiling boil for 10 minutes. Turn heat to simmer till the mixture mounds on the spoon. Remove from heat. Ladle hot relish into the hot, sterilized jars leaving 1/2 inch head space. Wipe the rim of each jar to make sure there are no food particles and the rim is dry. Place hot lid and ring on each jar and finger tighten (do not over tighten the rings). Process the relish in water bath canner for 10 minutes. 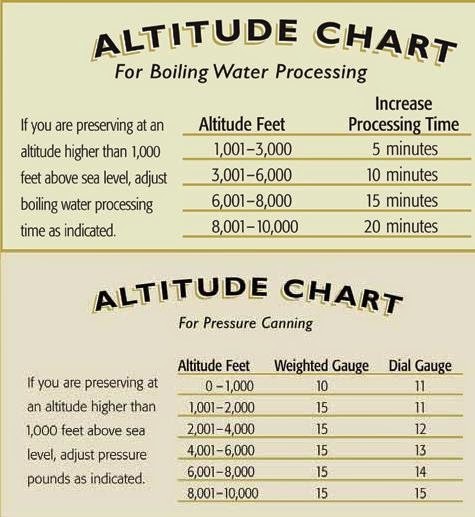 Refer to the approved USDA canning methods and timing for your elevation. Remove jars, place on dry towel to cool and listen for the ping of each lid (music to your ears). Allow the jars to cool overnight. Check to make sure every jar is properly sealed. Label each jar and date before storing. If, giving as gift leave the ring on the jar (protects the seal in transporting); provide instructions for storing the jar properly. To store jars remove the rings. Yield 4 - 5 pints (you may get another cup from this batch to pop into the fridge to enjoy right away).